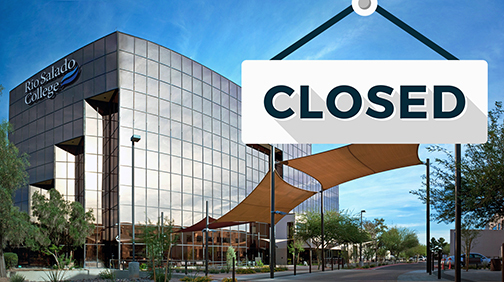 Rio Salado College Tempe headquarters, locations and most in-person services will be closed Friday, Oct. 26 for staff meetings and training. The college will resume regular business hours on Saturday, Oct. 27. *Edited 10/24 to remove Bookstore from services available on Friday. You can still order your books online and they will be shipped on Friday.